Arizona was originally adopted from CPL as a shy teen. She was lost from her cat carrier during a vet trip and remained missing for many months. On her returned she failed to settle and has lost much of her socialisation, making her difficult to handle. 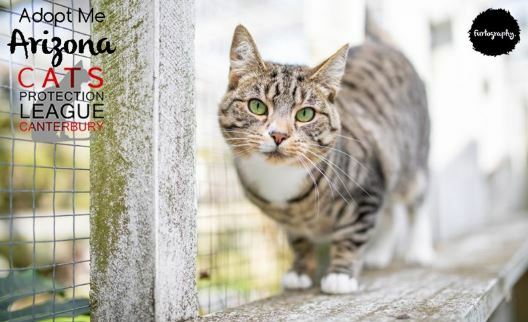 Despite this she is a sweet-natured young cat who will blossom in a quiet home. She will need a patient new owner with previous experience with challenging cats and an extended period indoors to ensure she settles properly. She will probably never be a lap cat but will make a charming and entertaining companion.